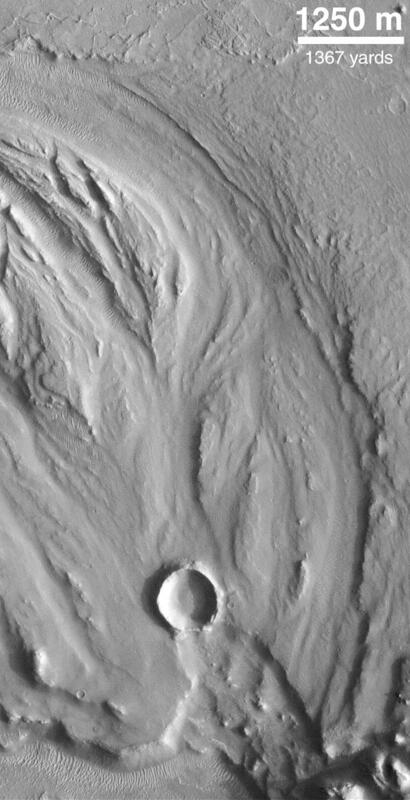 Image shows a fluid-scoured surface in the Hrad Vallis system, located northwest of Elysium Mons. The fluid is presumed to have been water. Image obtained by MOC on July 20, 1998.